[How to handle your hair when wet] Be Gentle!! Towel drying your hair too roughly can cause breakage, as can brushing your hair when wet. This is because wet hair is more prone to breakage and should be treated delicately. Try scrunching your hair with the towel from ends to root to take the moisture out, don’t rub it all over your head as fast as you can. Also I recommend getting a ‘Wet Brush’ if you do have tangly hair, or a wide tooth comb. [How to brush wet hair] When brushing, you should start by brushing the ends of your hair and move up as the tangles come out. This will significantly help with hair breakage, and is also much gentler on the scalp. [Heat Protection] Everyone knows the curling iron or flat iron is damaging to your hair. A great way to help protect your hair from such tools is by spraying on a heat protectant before styling or blow-drying your hair. Heat protectors are a great way to help hair stay strong through a lot of heat contact, and most add shine to your locks as a added bonus! Also, never turn your tools up to the hottest setting…shoot for the medium temp and save your hair the stress. [Rubber band usage] Buns or ponytails should be worn loosely in order to keep smooth, healthy looking hair. Wearing super tight buns (which I am guilty of) and tight ponies cause broken strands (you know those fun little fly-aways that never seem to grow, and stick straight up). 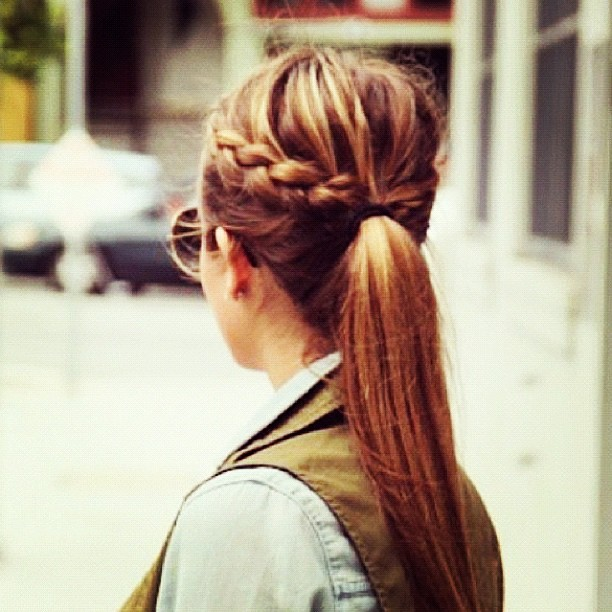 Braids can be a lot less harsh on your hair, so if you need to pull your hair back go for a braid or a loose side bun. Hope this helps! 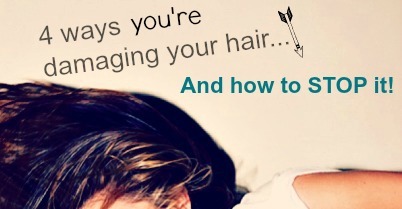 I can see a huge difference in my hair when I follow these simple steps each day. 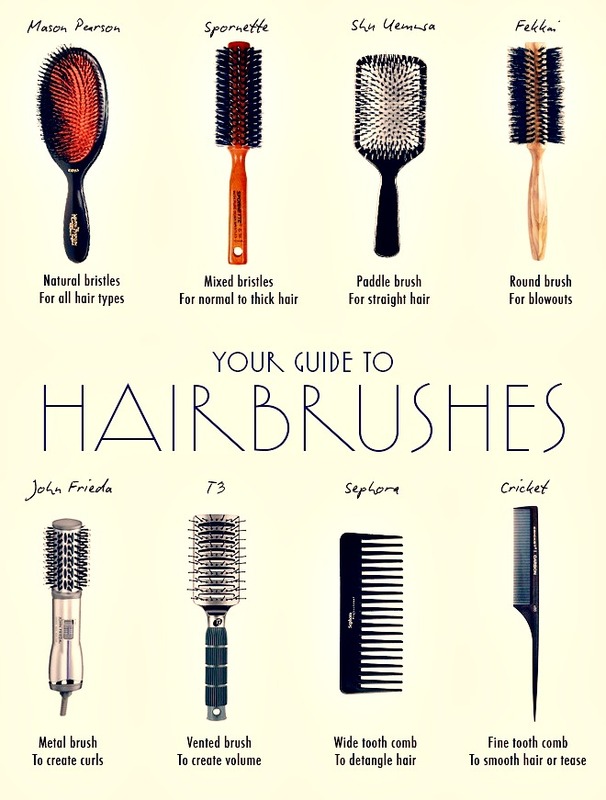 Knowing their basic purposes helps you buy brushes that work for you! Looking for a good ‘dry shampoo’? Well look no further! 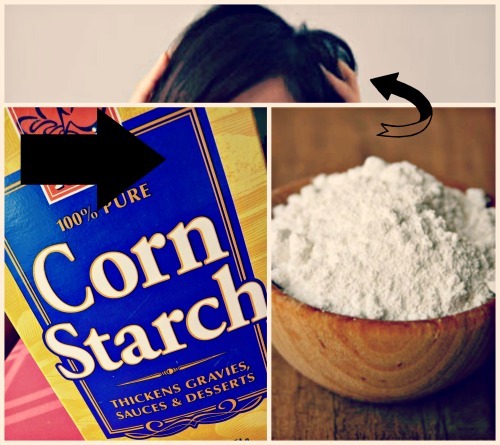 Corn Starch, yep thats right, corn starch is my fav. Not only will you save ALOT of money, but it works better than any other dry shampoo I have used… AND I have tried a lot! I’m not a big ‘hair washing’ fan so dry shampoo is a must. I have dark hair so sometimes if you use too much or don’t brush it through enough it can look gray. Just add some cocoa powder to it, and voila! My go to hair style when I’m in a rush and want to look put together!